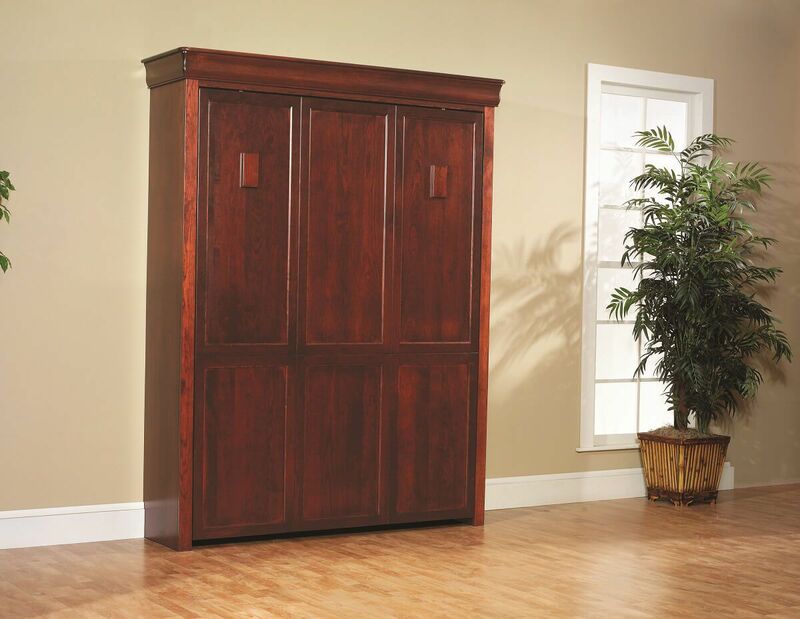 Our Charlemagne Murphy Bed is crafted of your selected hardwood and hand-rubbed with stain before it is sealed using a cabinet-grade smooth varnish. Showcased in stunning Cherry wood, your Charlemagne Murphy Bed is offered as a Twin, Full, or Queen with the ability to accept up to a 12" thick mattress. The intelligent design of our Charlemagne Murphy Bed gives you the ability to optimize space and entertain guests. Amish handcrafted using durable bonding agents and fasteners, this wall bed will be enjoyed through many years of practical use. The Charlemagne Murphy Bed is perfect for individuals who love hosting family and friends but find it difficult to entertain without a guest bedroom. 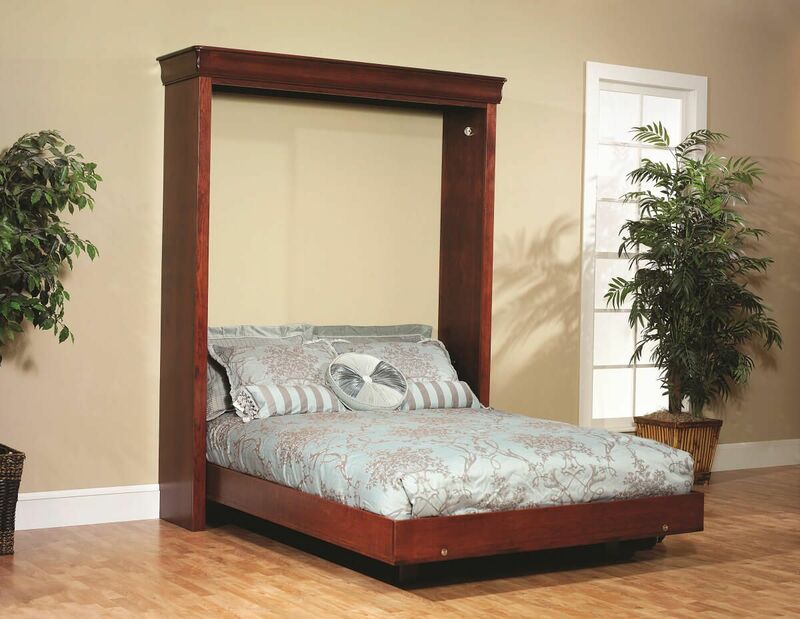 This fold up bed would fit beautifully in your Traditional style living area, home office, or den.